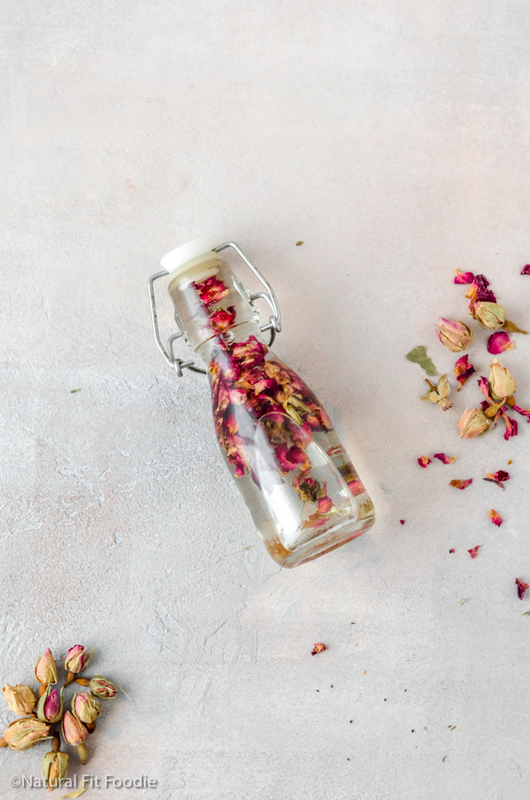 DIY Herbal Body Oil is a naturally fragrant luxurious moisturiser. It makes the perfect alternative to store-bought body lotions which can contain harmful endocrine disruptors. What can I use instead of lotion? 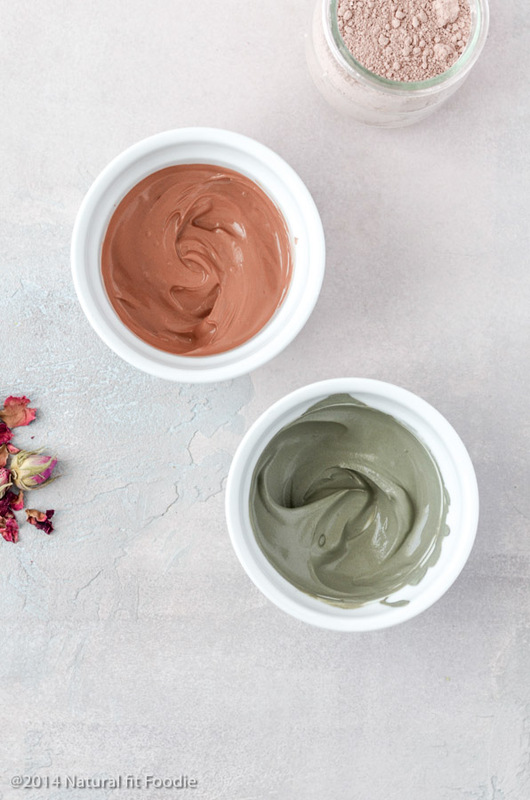 If you’ve made the switch to natural beauty products and have trouble giving up body lotion fear not. 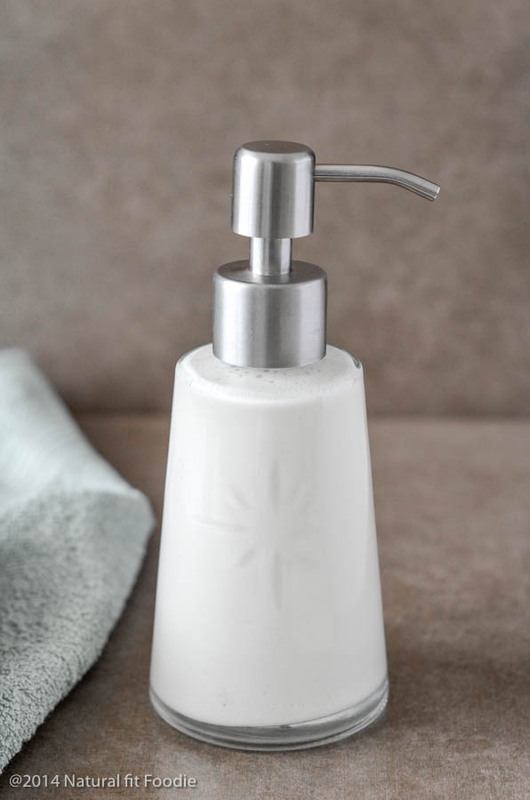 When I first got started on my natural journey, body lotion was one of the last things to go. 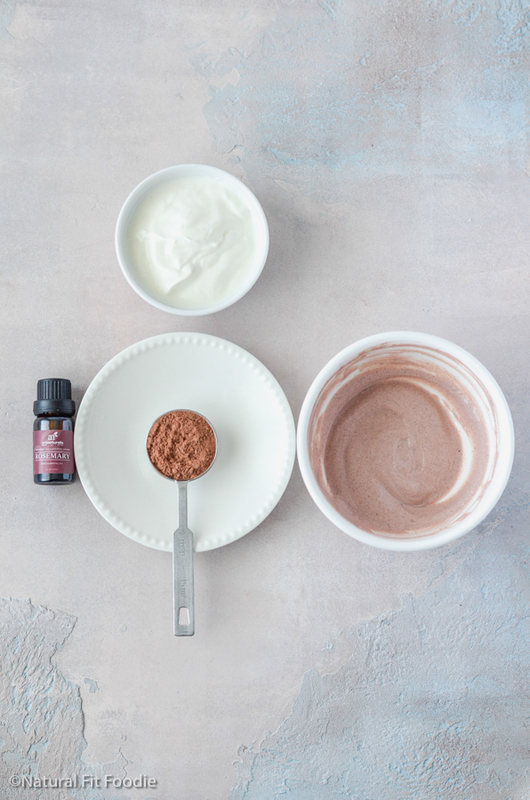 But once I learnt how to make an easy 3 ingredient body butter (that’s not greasy) I was sold! Still, I’m not always organised and there are times when I run out of my homemade body butter. In those times I usually turn to plain and simple – sweet almond oil. Sweet Almond Oil on its own is fab but I wanted to level up my lotion substitute to ensure it was even more nourishing. 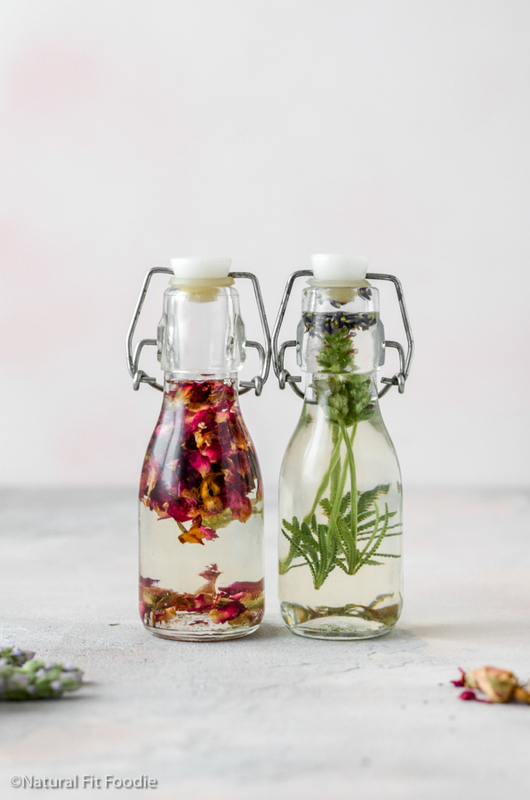 Enter these DIY Herbal Body Oils. They give you a spa like experience at home and could not be easier to make. All you need is a carrier oil and dried / fresh herbs. The main ingredient for these DIY Herbal Body Oils is a carrier oil. Sweet Almond Oil is my carrier oil of choice in these recipes. I find that its an affordable oil which works well for all skin types. I also really like Sweet Almond because it doesn’t leave a greasy feel on our skin. Which carrier oil is best for your skin? 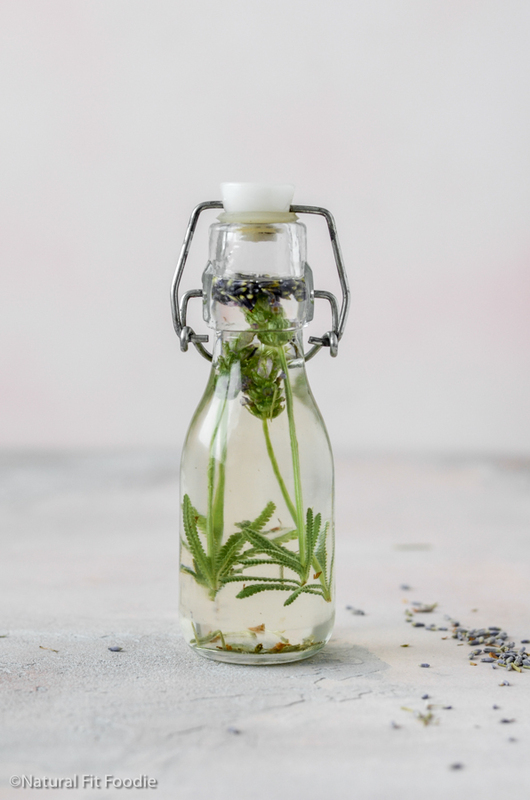 When choosing an herb for your DIY Herbal Body Oil there are a few points you want to bear in mind. Dried herbs : Dried herbs will keep your herbal oil from developing mold and spoiling. 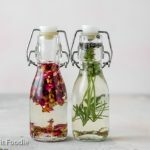 Fresh Herbs : If using fresh herbs and flowers place them in a shady spot for a few hours and allow them to wilt a little before placing them in your carrier oil to infuse. Never, ever place freshly washed herbs into a carrier oil. I chose both lavender and rose both for their numerous health benefits and for their fragrance. 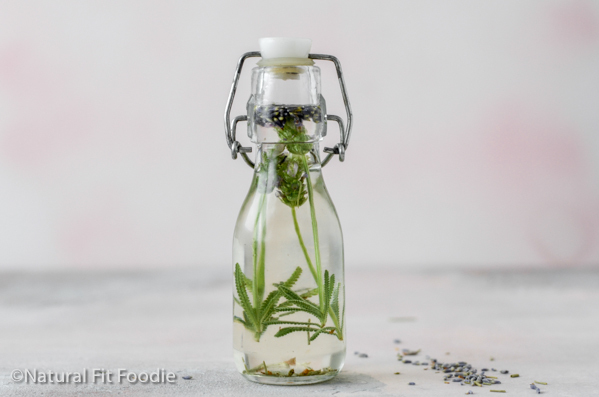 For our Lavender DIY Herbal Body Oil and Rose DIY Herbal Body Oil we’ll be using the flowers. After your bath or shower – Tip! Apply when skin is wet to seal in moisture. I no longer use body lotions these body oils and homemade body butter is all I need. Q. 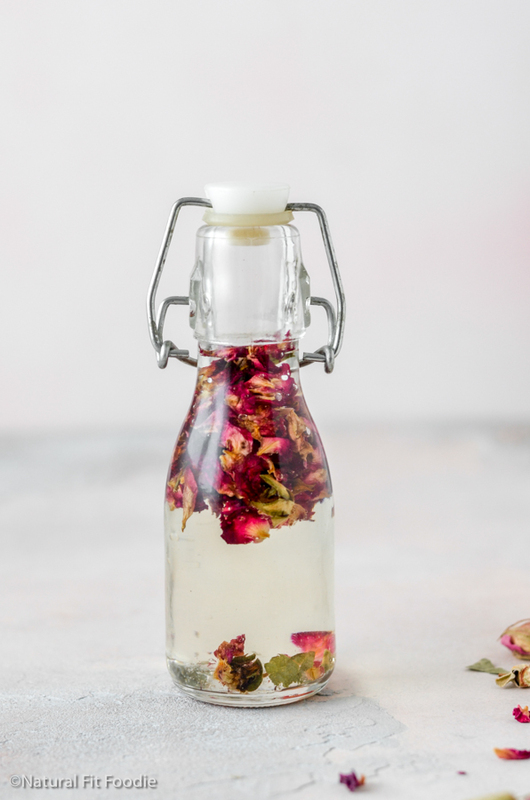 How long do you infuse this DIY Body Oil? 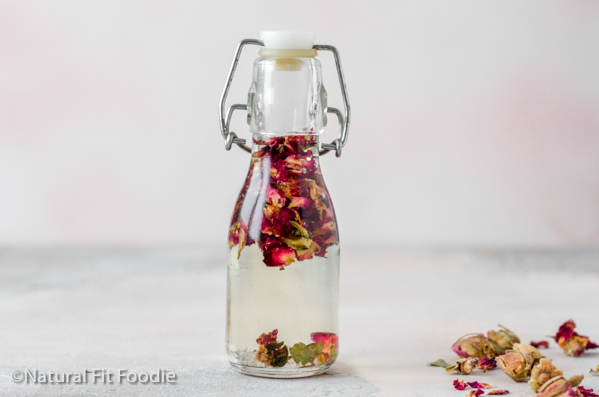 The hardest part of making this DIY Body Oil is waiting for it to infuse. If you’re reading this and thinking I can’t wait that long for my oil to infuse then you can try the stovetop method. DIY Herbal Body Oil is a luxurious moisturiser which makes for a perfect all natural alternative to body lotion. Hello! I was wondering did I HAVE TO use *sweet* almond oil or can I use regular expeller pressed almond oil? Sure Bri, go for it. Love these recipes.. going to try the body oil:) Where did you purchase the cute glass bottles? and what is the petals and stems ? I tried the facial and was afraid it would color my skin.. but it rinsed out well..Does it red cast your hair? Happy you like the recipes Christine. I purchased the glass bottles at a local home goods shop but I have also seen it for sale on Amazon.